Dedicated employee, outgoing always wanting to help expand the mission statement set forth by my employer. I was targeted for I was outgoing, always willing to step up to the challenge and helping others along the way. Apparently, others did not take kindly to my work ethics, and hence the mobbing began by managers and directors less dedicated to the company. Comments like "you never say no to anything" came my way. I was an easy target, as senior employees familiar with my work ethic left their positions, and new younger eager to make it to the top by back stabbing employees were hired. No longer employed, left with symptoms similar to PTSD. Taking time to heal from this bad experience. It seems you made the ideal target for bullies. If you saw the list of traits of what makes a potential victim - it's on this site and also on Bully Online site - you appear to fit the category of victim traits. Unfortunately, people who are good at their work, conscientious, honest, fair-minded, etc are often targeted. The main reason seems to be that we live in a corrupt system built on lies. It might just be that you are a little more honest than the majority of people. It's a 'dog-eat-dog' society I'm afraid. Either conform to that or be targeted - seems to be the message. He remarked. "There's only one 'fair' around here - the taxi 'fare' home!" To Susan: correct, it is a dog eat dog world; but for those of understanding there is MORE than 'this world' / the answer is NEVER become part of such world. We have to be different. Long-Suffering for 'them' and 'us' is grace properly handled. Pray for those youthful ones. Remember who we work for. I came to a new / old idea. As we are making progress (in growing our spirit) We are going to find life seems to be getting harder. This is actually a cause for rejoicing, not sadness. stagnant. Proverbs 3:5-6 /don't look back and if you think you erred 'out there' a small "I'm sorry" will get you back in good graces. TRUST that. do; when hard times come that separates sheep from goats and men from boys and girls from women) Adversity builds our character. Stay humble and see good in yourself and others again. While reading your post, I realized that this could very well be me. I have been honest, hard working and dedicated to this company for the past 10 years. I am currently the target of other employees because "I know everything" and they have told me that it's intimidating to them. There is a little "click" of employees at work who repeatedly talk about me and unfortunately, this includes the department head (who has less time with this company than I do). Corporate acknowledges the hostile environment but so far has done little to nothing to correct the situation. I know I am currently suffering from PTSD and am being treated for stress by a physician. And I am STILL employed with this company. Connie: If you've been with firm (private enterprise?) for 10 years; the firm would be hard pressed to find fault with you NOW. So; DO NOT be concerned with what 'workers' of a firm say about you. IGNORE THEM as you would ignore the 'kiddies' who gripe and point and laugh on the school playground. JUST DO YOUR JOB as you've been doing for 10 years. The moment you get into their 'antics' and 'frey' (defending yourself or your ways to them) THEN the firm has cause to eliminate...? GUESS WHO? Not those there less years (with less wages paid). Eat lunch outside your office, come in on time as always, say nothing to comments, in one ear out the other. If they don't want advice or help (because it's percieved to be a know it all) don't talk unless asked to. ...and if you want to get 'them' more on your side, 'stay cool' for awhile; give a compliment TO them (sincerely) as you see. Do the opposite of what they do 'to' you. BE DIFFERENT. Let them do their job as they wish. (I always use the Jesus came to Nazareth but could do no 'miracles' there because "they saw him ONLY as son of Mary and Joseph the carpenter" They didn't realize the worth of Jesus back with them. Be helpful, Be Kind, Be honest and hard working, DO NOT WORK FOR THE PRAISE OF 'MANKIND' / because mankind is NOT going to praise (being different, YOU praise, and you be happy, and you let them know subtly BY ACTIONS just how much YOU LOVE YOUR JOB. 10 YEARS says it all...the firm is happy with you. That's why your collegues WANT YOU TO FAIL. DON'T GIVE IT TO THEM. If you have the support of the firm you are 'IN' / be mature / remember the folks at home life who LOVE YOU. WOW. I though I was the only one going through this. I have worked for this company for over 17 years. Since day one I was given the cold shoulder and treated like dirt. Nothing much has changed since then except that the office manager's daughter is now doing it. I am a hard worker, come in on time, even come in early and on weekends when I don't get paid for it and I still get it. I feel why should I change who I am to please these people but it still hurts. I did nothing wrong to these people. Every little mistake I make gets blown out of proportion by the boss and these girls just get a slap on the wrist. BTW, I am the only White women in this office, the rest are Spanish and the bosses are Black/Italian and White. 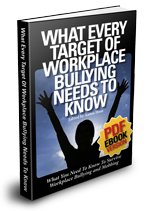 I found my own employment outside the corporate environment to escape the bullying. I did well for years and I am still doing well now. However, IT/THEY found me and tried to carry out bullying and abuse in the community. 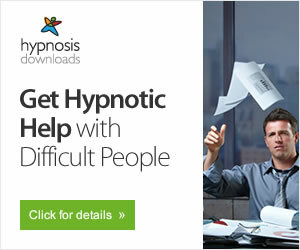 I was lied about but I still managed to find clients. I can't help thinking there was/is something evil in all this, as when someone is attacked by demonic forces, but I know that might be stretching the imagination a bit far! However, IT/THEY haven't stopped me from travelling between clients and it's all gone quiet. I hope IT has or THEY have given up on me now, and I can find some peace. Thanks for your comment, you may well be right!